The Porsche 356B debuted at the Frankfurt Auto Show in Germany in late 1959 as well as a Speedster D model (Convertible D), replacing the speedster. The 1959 Porsche 356 Type B was quite different than its predecessor Type A models. A bigger front bumper was perhaps the most notable. Headlights on the 1959 Porsche became more upright. Many Porsche enthusiasts thought the changes to the 1959 Porsche 356 were similar to something General Motors could produce but like most factory changes, they were soon accepted. The Convertible D model featured a taller windshield, glass side windows and new seats. If you’re considering buying a 1959 Porsche 356, it would be the pleasure of ER Classics to introduce you to the Porsche 356 cars they currently have in stock. From barn-finds to the most pristine showroom examples, connect today to learn more. 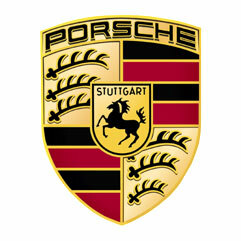 In the meantime, browse this website to learn more about the Porsche 356 and other classic cars.